Sharp Shooter bat is light weight and sports a full cane handle. 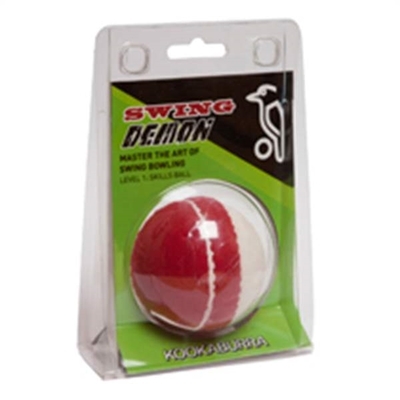 You can feel the flexibility in the handle when standing in a batting stance and pushing it against the ground. The bat is used for tennis ball. New 2016 edition of the bat as displayed. Please do not buy this bat if you plan to play with heavy tennis ball. 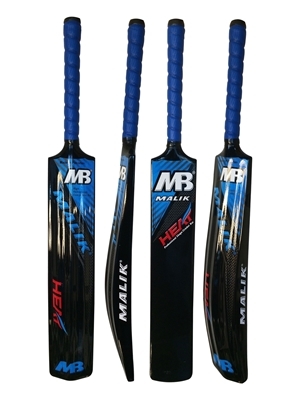 Do not use this bat to play with normal cork hard cricket ball, but can be used with tennis balls. The bat is constructed with full cane handle for maximum rebound and stroke enhancing capability, we added this bat in 2014 and due to popular demand we have new 2016 edition now available for purchase You can use it to play with lighter training balls, tennis balls or tennis balls wrapped with tape for practice and leisure play. The full cane handle packs an extra sting into your drive and provides extra force to deliver the ball to the boundary very quickly. Please do not buy this bat if you plan to play with heavy tennis ball. The cricket bat weighs at 2.2 lbs (exact weight from a random sample). 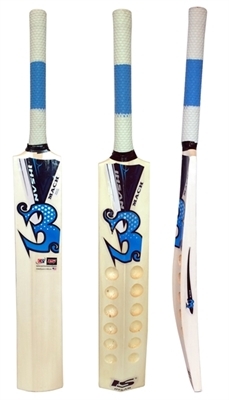 This bat is now available in Short Handle, Long Handle & Long Blade Sizes. bat is way too light . i received this bat on 08/18/15 . still waiting for my team to play with this but this bat.this bat is way tooo light and feels like its good for regular tennis or tape tennis ball.well, one i get to play with hard (red color) tennis ball, i would b able to explain more about this bat. i will update again ,after a game . 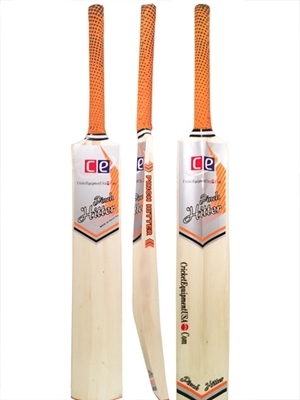 Our Pinch Hitter tennis ball cricket bat, have a thick profile and is fitted with half cane handle. Capable of sending the ball a long distance with light pickup and bat speed. Please do not buy this bat if you plan to play with heavy tennis ball. Storm Tape Ball Cricket Bat by Ihsan. The bat is used for tennis ball. 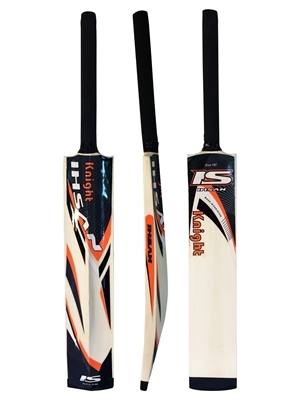 Knight Tape Ball Cricket Bat by Ihsan. Light weight cricket bat used to play leisure cricket with light tennis balls. 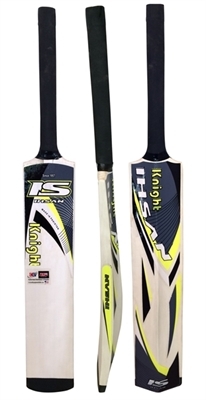 Knight Tape Ball Cricket Bat by Ihsan. Light weight cricket bat used to play leisure cricket with light tennis balls. This bat should not be used to play with heavy tennis balls. 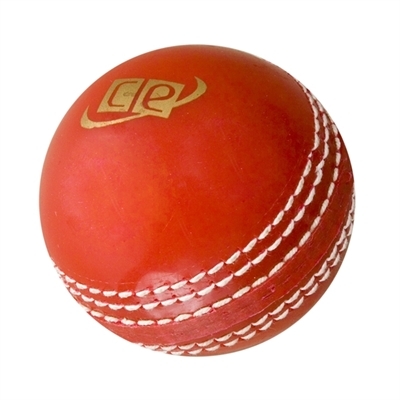 Strong Tennis ball cricket bat with thick edges and strong construction. A good light weight bat to practice and play with tennis and training balls. High Tech Composite cricket bat <b>feather weight 1 Lbs & 12 Ozs</b> with awesome brute power for playing leisure cricket with light tennis balls. The bat is light weight approximately 2.4 lbs with thick profile. Great ping and drive power, water proof for playing under wet conditions. 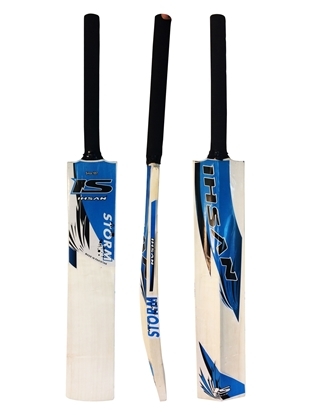 Full Size Short Handle Adult Size Cricket Bat Medium Weight for playing with softer tennis balls. 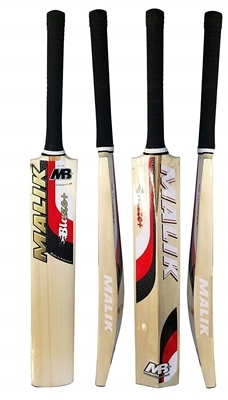 This bat is not made from Kashmir or English Willow. It is made from poplar wood which is from trees grown in Pakistan.